Trade Bank of Iraq (TBI) and Commerzbank have signed a €100mn loan framework, with backing from the German export credit agency Euler Hermes. It comes as a result of TBI being approved by Euler Hermes as a borrower for medium and long-term export credit agency financing with repayment terms of up to five years. According to TBI, the deal is part of its “long-term strategy to source and secure funding for projects in Iraq”, with the aim of fostering economic growth and employment. Through this loan framework, Commerzbank will finance export contracts for products, materials and machines to Iraq awarded to its clients in Germany and other European countries. “Thanks to the backing of Euler Hermes, funds will be transferred directly by Commerzbank to suppliers from Germany and other European countries, ensuring the success of the suitable projects we identify,” says Faisal Al Haimus, president of TBI. Cathrin Karpinski, Commerzbank’s head of international markets export and agency finance, calls the deal “a great achievement” that will help strengthen trade relations between Iraq and Germany. TBI was established in 2003 with the aim to help in the reconstruction of Iraq by facilitating international trade. It established its first international office in the UAE in 2017 and has since signed several agreements with international banks to help fund infrastructure projects inside Iraq. Like Euler Hermes and Commerzbank, a range of other European export credit agencies and financial institutions are seeing opportunities to support their exporters in Iraq. 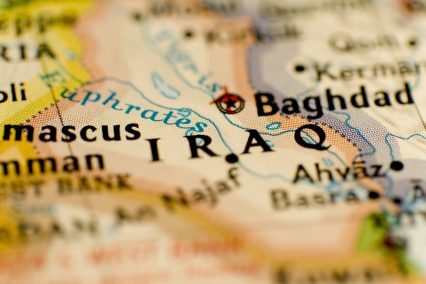 The UK’s export credit agency UKEF, for one, issued a buyer credit facility to the government of Iraq earlier this year – the first time in 20 years. Together with JP Morgan (whose tranche was reinsured by the Swiss export credit agency Serv), it provided a US$210.8mn financing facility to help GE upgrade and repair existing gas turbines at 10 sites across Iraq. This followed a deal in August 2017, in which UKEF provided a US$117mn guarantee to support the government of Iraq in a contract with an Enka-GE consortium to deliver two 750MW gas-fired power plants at Dhi Qar and Samawa in southern Iraq.